The entire team at the ibis Saint-Malo plage hotel wishes you a warm welcome to Brittany. Enjoy the view and the sea-spray on one of France's most beautiful beaches; just a few steps away from dipping your toes in. Come and adopt the "Breizh attitude"! 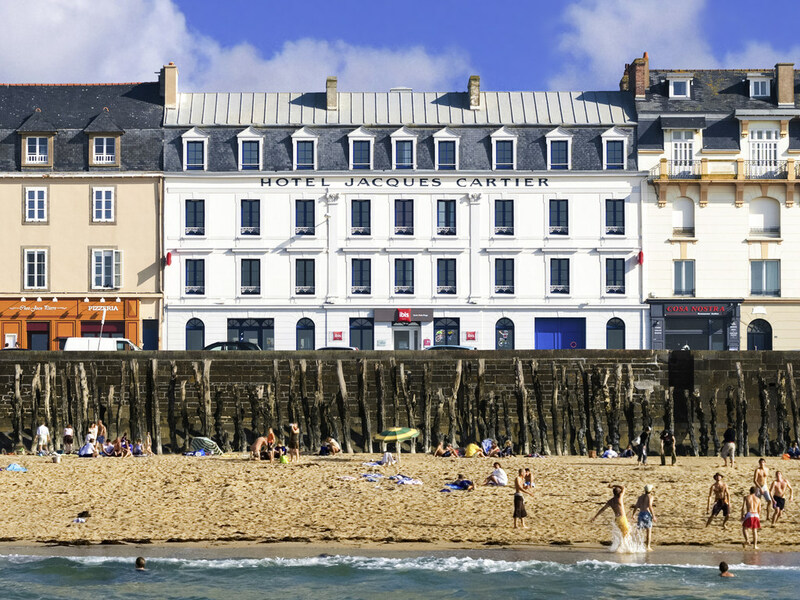 Ibis Saint-Malo Plage Hotel located in the city, facing the beach of the furrow, 10 min from center, 20 min from the station, Bar and 24/7 snacks. The hotel offers 60 modern comfortable rooms with "Sweet Bed" bedding, TV Canal +, unlimited free Wi-Fi. Succumb to the charm of the Emerald Coast. NB We start major renovations in the lobby until June 2019 for more details feel free to contact us directly. In the heart of Saint-Malo, overlooking the sea. Situated close to the city walls in between the convention center and the thalassotherapy center. For your future comfort, renovation work is underway on the garden side and ground floor of the hotel until end of June 2019.